I first met Maria when she started her blog. I thought if she accepted she would want to maybe give away a few lavender sachets, or something like that. Just look what Maria is giving away to one of you lucky readers! How'd you like to win this chic French linen market tote? how about 6 lavender sachets? 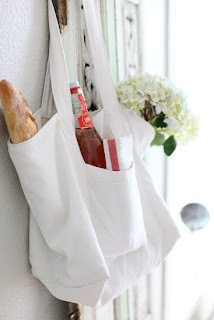 Maria is also including a vintage French wine bottle in this giveaway! I do have to say, this is one giveaway I would love to win!!! You will have several chances to enter. Be sure to leave a separate comment for each one. 3} For a final chance to win, visit Maria's store ﻿and then come back here and tell me what else you have to have! will be choosing a random winner on Friday the 15th. Also, my friend Kasey let me know this morning that I made this list! I am so honored, and I have all of you to thank! I follow Dreamy Whites blog and I love it! You're right, generous giveaway! I follow your blog and love it as well. The lake, your style, and your endless work on your house make me happy to read over and over! I really like that Bread Box that Dreamy Whites has. Oolala. I love the color!!! I am a Dreamy Whites follower and her blog is wonderful! I am a follower of your fabulous blog as well! Thanks to both of you for hosting this wonderful giveaway. I happily follow your blog as well! I follow Dreamy Whites and think it is just so dreamy! Love it. An item is Maria's shop that I adore is the green vintage clock! I follow My Sweet Savannah. It is one of my favorites. Love your vintage style and home design! I have been following your blog since I started a year ago. I love it. You inspire me so much. Thanks for offering such a great giveaway. I follow your blog...you always have the prettiest things! I am now following Dreamy Whites blog....I love it!! i also love the french wire basket and blue enamelware pitcher! I follow Dreamy Whites blog... LOVE! I am a follower of Dreamy Whites. I would love to have the European Enamelware Bread Box. so vintage, so lovely!! One can dream. I absolutely love her shop and want all of those french enamel pitchers she has! oh my! That bread box is fabulous!!! I follow your blog.... LOVE! thanks for all the amazing inspiration! 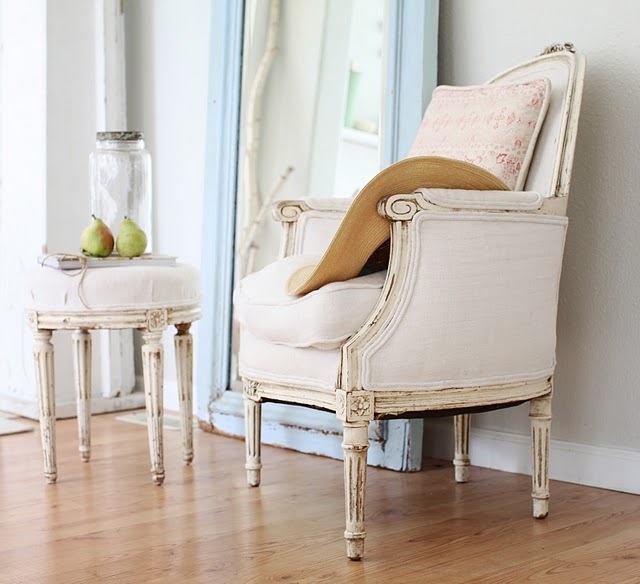 I already follow your blog but I started following Dreamy Whites blog! Everything is so beautiful! I visited Dreamy Whites shop and oh my, it's all so pretty! I love the clocks and the French chalkboard! I checked out Maria's store and I'm in love with the antique french tole chandelier... gorgeous! I am now following Dreamy Whites blog! How does she keep everything so white with FIVE kids?! Her home is beautiful! I also follow your blog and have for a while now! Have I ever mentioned I am totally in love with your home and oh so jealous that you live on a lake?! And....I love the ironstone pitcher from france in Dreamy Whites shop! I follow your blog and love it. Thanks for the giveway! I am a follower of Dreamy Whites and I want to win! Authentic Antique German Grain Sack 1914 is my favourite item from the shop and I have to have it! I follow both your blogs and would LOVE LOVE LOVE to win. What a fabulous giveaway!!! I'm a follower of Dreamy Whites. I love your blog and am a follower. I am a Dreamy Whites follower! I love love love Maria and Dreamy whites and have followed for a while. Thanks, I follow Maria's blog! I am a Dreamy Whites follower and now you too! I love the blue striped grain sack runner!! Oh, and I'm a follower of Sweet Savannah of course! I am so going to follow your blog! LOVE it. I'd choose a water pitcher! I'm a follower of Maria's blog! This is really dreamy!! :-) I follow dreamy white since the begin of it! followed Dreamy White blog!cute giveaway!! I have to have the Antique French Tole Chandelier... it's stunning! Thank you again Maria and Melanie! I'm drooling over those Sheet music cards! She has such lovely items. WHAT!?! Such an amazing giveaway. I follow Dreamy Whites. Hope I get lucky! Love Maria's store. The Vintage French Clay Pots caught my eye. I would love to use those in a place setting on our patio dining table. I found you at Dreamy Whites! So happy that I did! You have a beautiful little blog, I'll be back to visit soon. Please count me in. Have a great day. I am a follower of Dreamy Whites and what a fabulous and generous give away. I would be delighted to win! I've been follower of Dreamy Whites blog since it began. 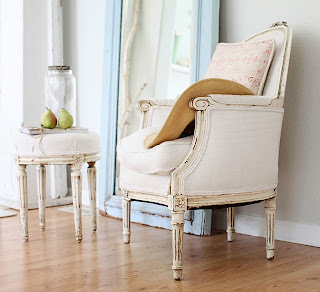 I love Dreamy Whites and I love this blog...will definitely be a follower! And I love the vintage lavendar bottles...so beautiful! I follow Dreamy whites too! Love your photography and all your vintage treasures. I follow Dreamy Whites and it is dreamy! I love your blog and Dreamy whites. I would swoon if I won the tote. Also like anything made from the grain sacks. And now I follow you! I follow Maria's blog, I love it! I am already a follower of MSS =) Did I mention I've never won anything in blog land, this would be a real treat! And now I am a follower of your lovely blog. Thank you for hosting this fabulous giveaway! I follow Dreamy Whites and now I wil definitely be a follower of My Sweet Savannah...and I love the beautiful vintage lavendar bottles! I LOVE the blue french pitcher she has in her shop! I visited the shop and would love to have the french wire basket, ahhhh swooon! I would love to have the vintage chalk board easle! I follow Dreamy Whites! Love the inspiration! I follow your blog! What a great giveaway! Hi!!! I follow Dreamy Whites blog!!! It would make my YEAR to win such pretty things, what a wonderful and generous giveaway! I'm a happy follower of My Sweet Savannah blog also! If I were to pick just one item from Maria's shop, I think it would be the Antique Lavender Perfume Bottles. I love following you as you fluff your nest. now following you as well! lovely.. thankyou! I love following Dreamy Whites, as it's the only colour I decorate with...Yikes! ...and my must have from Maria's store? It's that beautiful french music card! Beautiful items at Dreamy Whites shop but especially love the Antique Grain Sack Red Stripe Table Runner! Already follow your wonderful blog! Already follow Dreamy Whites blog as well! Any of the gorgeous linens at Dreamy Whites would be divine. Actually, anything from her store at all. It's all beautiful! and of course I follow her! I follow Dreamy Whites blog and I love each and every object in her darling home!! and what I dream for in her fab shop is the blue or green vintage lunch pail....sooooooo cute!!! I now follow your blog too!!!!! I am an avid follower of Maria's blog. What a great giveaway! I am a new follower to both and think I am in love. Those lavender bottles are amazing and simply perfect. Thanks so much for inspiring us to dream and do! I am a happy follower of your blog as well...love it and all you do! I follow Dreamy Whites. Everything is so lovely! What a generous and beautiful giveaway. I love all of Maria's linens, and all of the antiques in her shop, but i'd love the lavender satchels. Thanks for the amazing opportunity! I follow your lovely blog! I follow Dreamy White ...in fact I stopped by her shop this morning...I bought one of the lavender filled shot bags to go with a little hunting vignette I am doing in the den. I would love most anything from her shop! ok...I'm a follower...I visit you almost every day, Melaine. You are kind and take the time to respond to a question. I appreciate your passion and generous heart! everything in DW's shop is screaming *i want*...i do so love the pillows! Maria's shop is lovely. 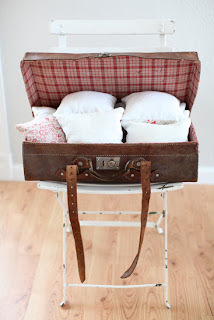 Love the French tool box and also all of her lavender pillows. What an awesome giveaway! I'm a follower at Dreamy Whites blog. Love it. And love following Dreamy Whites!!! I love all of Maria's antique grain sack pillow slips. Where does she find all those antique sacks? i am a followr of her blog and have been for quite some time...she is one talented chica!!! I love the fabulous assortment of antique linens at the shop! i follow your blog as well and likewise, you are one awesome taleneted chica!!!! I love Dreamy Whites, blog and store, and now I have a new blog to love...yours. This is one of the best giveaways I've seen! I would be happy with anything from the store, but I'm especially loving the French Antique red floral lavender pillow and the French music cards...so beautiful. I just found you this morning..how great is that! Love yours and Dreamy Whites both!! You both have that character of style I long for. The drying rack on Dreamy is so cool, another great idea. And the lavendar mirror...to die for. Now I need to spend more time just looking your blog over...not enough hours in the day!! 3. Have You seen the chalk board? I follow dreamy whites on bloglovin. What should I say about her shop, everything is gorgeous and I love this style. But most of all I love the old linen. I also follow your blog and love it! I love all the vintage pieces but the organinc lavender set would be a nice place to start. The grain sacks in Maria's shop are my absolute faves! Thanks for the great giveaway!! I would love to win Maria's giveaway. I follow both of your blogs and love them! Thank you both for doing this. I follow you Love that tote!!! Oh my, there are so many things I would love from her shop!! The antique lavender bottles are beautiful, the french zinc flower bucket, and oh, how I would love the vintage green and cream bistro chair from France. I follow Dreamy Whites!!! It's a favorite!! I'm now a follower of Dreamy Whites. I adore her blog! This give away touches my heart with the loving thoughtfulness given to the beautiful gifts. Love the french toile red pillows in her shop!!! I love the antique french wire basket, and the antique french bottle rack and grainsack anything, because I don't see them here ever. 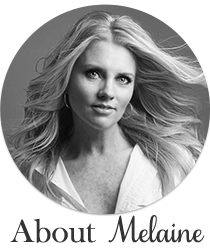 I follow Dreamy Whites adn would love to be entered to win Maria's giveaway! I follow your beautiful blog as well! Oohhh, I'm excited about this giveaway! Every photo of it is beautiful. Thank you for offering this! <3 I am a follower of Dreamy Whites. And I am a happy follower of Sweet Savannah too! I would love to have the lavender dryer set! I have been wanting that for a while from Maria's lovely shop! Love the bread box and the french wire mushroom basket!! I adore both of your blogs. So much inspiration. Just love it. There are so many things that I like in the Dreamy Whites store, but I especially like the French Music Cards, the French Tole Chandelier, the French Chalkboard w/easel, and the tool box. LOVE!!! My heart is racing. HA! I would love to win the bottle rack. Ugh, be still my heart. THANKS!! I'm a follower of Dreamy Whites, thank you for this fantastic giveaway! Love it! Some of those gorgeous little lavender bottles in Marie's shop are calling my name. I am a follower of your blog and have been wanting a French bottle rack for several years. I'm your follower beautiful blog! I'm now your follower too! I'm off to check out the amazing canvas prints. Thank you so much for hosting this lovely giveaway. I am a follower of Maria's Blog and just adore her dreamy images. Oh I so want an enamel pitcher from Maria's shop. The blue one. Swoon. I love the chandelier from Maria's Shop, is to die for! i follow dreamy whites. love it. I follower your blog! Count me in. Ok! I also viewed her store and she offers so many simply beautiful products...it's hard to choose. I really love the color of the bread box. But I think my favorite thing right now is the lavender pillow with the french floral print. And you're RIGHT...this is truly a DREAMY giveaway. I'm also a follower over @ Dreamy Whites! i am a follower of your blog. it is a favorite. I NEED some of Maria's lavendar bunches! Spring has not yet arrived here and I NEED something sweet smelling! Thanks for the chance to win! i would love a french bottle dryer. I don't know why my following didn't show up cuz I visit you often but now I am OFFICIALLY a follower of My Sweet Savannah! I follow Dreamt Whites! Love the giveaway! And I've been a long time follower of Dreamy Whites. Almost from the beginning! I follow Dreamy Whites blog!! I love it!!! You had me at dreamy whites. I follow her blog. What I wouldn't give for that Tote Chandelier or that Bread Box!